Closer to the earth. Closer to the sky. Closer to the good life. 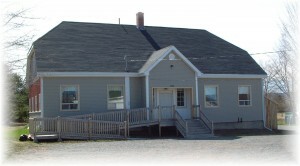 The community of Centreville is located on Route 359, which heads towards the North Mountain and is minutes away from the magnificent Bay of Fundy and the quaint fishing village of Hall’s Harbour. This friendly, safe community is a one-hour drive from Halifax and boasts a municipal sewer system and reasonable housing prices and tax rates. The central location of this family-oriented community makes for easy access to the towns of Kentville and Wolfville and the village of New Minas, and hence fine dining, live theater, Acadia University, shopping malls, and an excellent medical facility and services. Centreville has a beautiful park with walking trails, a play ground, and well-equipped baseball and soccer fields. For golf enthusiasts there is Eagle Crest, a scenic 18-hole golf course. The Charles Macdonald Concrete Museum of Centreville is an interesting display of folk art in concrete. A warm welcome is extended to all visitors to and new residents of our vibrant little community in the heart of the Annapolis Valley’s Kings County. You can also email us your pictures of Centreville with any details you’d like to include, and you can contact the CDCDA Executive by using the above address as well. For all newsletter-related business, contact Suzanne Trudeau at centrepostlady(Replace this parenthesis with the @ sign)hotmail.com (The Centre Post newsletter editor).